We said so! Her new direction was not pleasing to us or the fans. It was just to main stream BLAND. And we missed the original sound of Grimes in the beginning. This makes us more than happy to hear for selfish reasons. Claire Elise Boucher (born March 17, 1988), better known by her stage name Grimes, is a Canadian producer, artist, musician, singer-songwriterand music video director. Born and raised in Vancouver, Grimes began recording experimental music while attending McGill University in Montréal, where she became involved with the underground music scene. In 2010, she released her debut album, Geidi Primes on Arbutus Records (based in Montréal, Québec), followed by Halfaxa (2010). In late 2011, she announced that she had signed with 4AD Records, who partnered with Arbutus Records to release her third album,Visions (2012). Visions met critical acclaim and was hailed by the New York Times as “one of the most impressive albums of the year so far”. 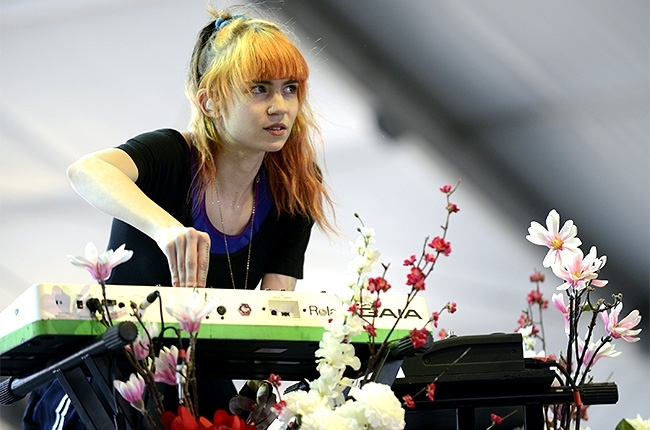 Grimes’ music has been noted by critics and journalists for its atypical combination of vocal elements, as well as a wide array of influences, ranging from electronica to pop, hip hop, R&B, noise rock, and even medieval music.